Vapor Storm brand alreday established about 3 years. Sincerely thanks my dear fans and customer love and support Vapor Storm, we will work hard and continue to provide better, stylish product. 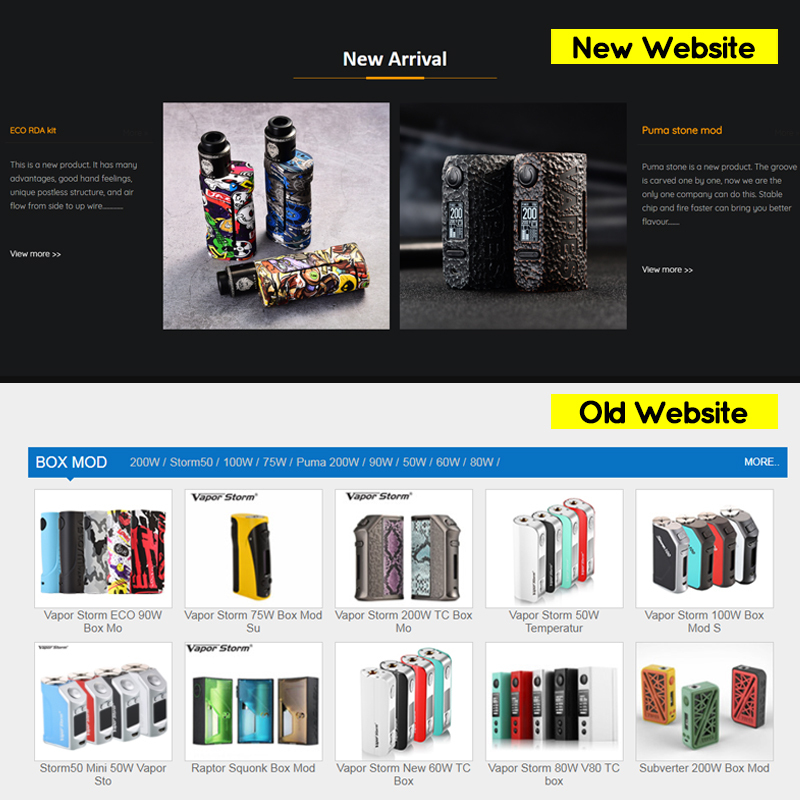 Now we update Vapor Storm website. Look at the picture, above one is new website, below one is previous website. Compared to previous website, this website is more comprehensive. If you have any needs, feel free to let us know.